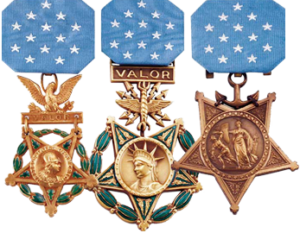 The Distinguished Service Cross has been in effect since April 6, 1917 however, under certain circumstances the Distinguished Service Cross may be awarded for services rendered prior to April 6, 1917. It is the highest US Army award that can be awarded to civilians in service to the military or to foreign nationals. Even in these cases, the criteria for award are the same. There are over 1,000 recipients of the Distinguished Service Cross and Navy Cross during the Korean War.